A powerful and evocative debut novel about two American military nurses during World War II that illuminates the unsung heroism of women who risked their lives in the fight--a riveting saga of friendship, valor, sacrifice, and survival combining the grit and selflessness of Band of Brothers with the emotional resonance of The Nightingale. In war-torn France, Jo McMahon, an Italian-Irish girl from the tenements of Brooklyn, tends to six seriously wounded soldiers in a makeshift medical unit. Enemy bombs have destroyed her hospital convoy, and now Jo singlehandedly struggles to keep her patients and herself alive in a cramped and freezing tent close to German troops. There is a growing tenderness between her and one of her patients, a Scottish officer, but Jo's heart is seared by the pain of all she has lost and seen. Nearing her breaking point, she fights to hold on to joyful memories of the past, to the times she shared with her best friend, Kay, whom she met in nursing school. When the conflict at last comes to an end, Jo and Kay discover that to achieve their own peace, they must find their place--and the hope of love--in a world that's forever changed. 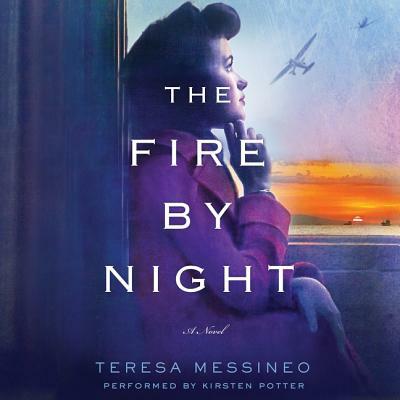 With rich, superbly researched detail, Teresa Messineo's thrilling novel brings to life the pain and uncertainty of war and the sustaining power of love and friendship, and illuminates the lives of the women who risked everything to save others during a horrifying time.